There are plenty of needs and strategies that any company must take into account, and the responsibility certainly expands when that business has an online presence. The world of the internet can be a vibrant place in which businesses rapidly expand their profit margins and exposure, but only if it is done properly. Many business leaders fail to understand the true nature of the web and how concepts like search engine optimization work. While they may grasp why it is important to have a website, the tactics that make these benefits manifest may be a bit too technical. If your business or employer could be enhanced through the use of SEO but you do not know how to explain it to them, then continue reading to find out about a few simple ways to convince your employer that SEO is direly needed. Most bosses and CEOs know that having a website can present opportunities with respect of commerce, but SEO is about much more than that. Having a way to be pinging users on a consistent basis – and not just any users, but relevant shoppers – is vital if you want to maximize a website’s efficiency. SEO can be used to target particular customers and ensure that your money is wisely spent. If SEO tactics are not in use, then it will be very difficult for a shopper to find your brand online unless they are already familiar with it, and search for it by name. SEO allows the website to be found through more generic searches; rather than having to search for “Bob’s Bistro in Birmingham”, a properly-optimized website will display in results like “local eateries in Birmingham” or “Birmingham bistros”. Search engine optimization essentially gives more definition to your pages with respect to search engines, allowing them to tell what each page is about in a more precise fashion. 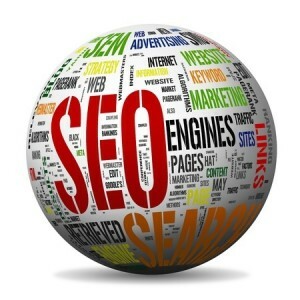 Without SEO, a quick search for your website may yield both relevant and irrelevant results. An example would be that a random page generated via WordPress for an individual image could rank higher than your page for clearance deals. With SEO, you can prioritize how each page is ranked by providing more details on the pages that are important, and not emphasizing the pages that have little to no relevant content (at least when it comes to what people search for). Common pages that should be optimized the most include product listing pages, contact pages and FAQ pages. Those who use SEO to maximize their website’s presence in search can also expect some less noticeable results, namely that the formatting in most cases for each page will produce more informative results for the reader. Pinging users with a few pieces of information may be acceptable in some cases, but articulating/summarizing what your page is about throughout the content will not only boost SEO (in the case of keyword inclusion), but will also do a good job at ensuring that your readers know what they’re getting into before they even click on your page. I think, a lot business leaders have understood the power of SEO for growing there business revenue online. but those who are on other side can be convinced easily with using the tips mentioned above. I would like to add another point that SEO raises the conversions for your product. Its not about bringing the quality traffic but also let them buy your product by decreasing the ambiguities in your website’s appearance. I was just thinking that, you have done all the hard work and paid 1000’s of dollars on SEO on SEM and you have been able to bring quality traffic to your blog, but the quality traffic still don’t bring hike in your sales. This is the point where we have to analyze the conversions. You have to keep an overview of what demographics and geographic sections are turning out from quality traffic to effective Consumers. Bringing money and selling the products is what that is required in the end.